Our custom designed Truck & Trailer Combo Series will allow for a dramatically more compact and mobile membrane systems. The key to this new product line is maximum mobility by combining air supply, membrane nitrogen generation and nitrogen booster compression and then to install it all on one truck that is easily operated. 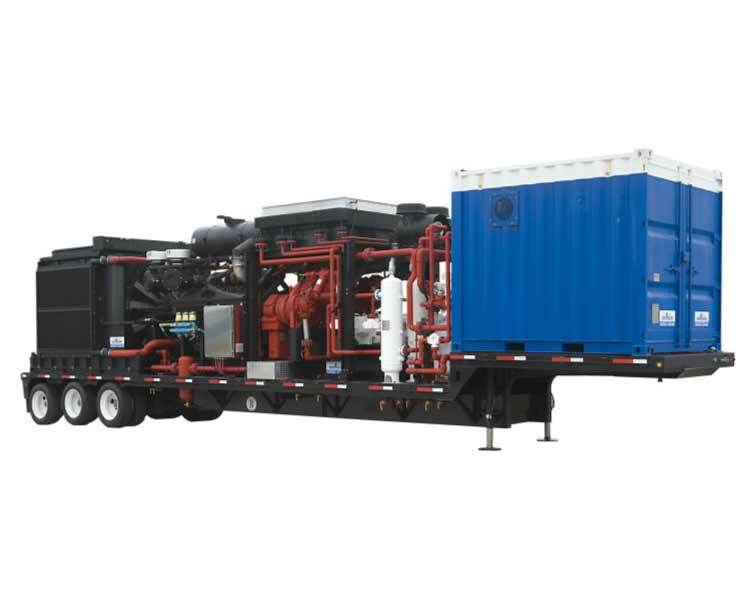 Where other membrane systems and inert gas generators require multiple transports and long setup/breakdown times, our Combo Series is already mounted on a single trailer, interconnected, calibrated, and ready for operation. Complete systems are packaged in our Houston ISO 9000:2008 – certified fabrication shop to meet your exact requirements. To handle your short-term needs, GENERON maintains an extensive fleet of mobile nitrogen generators for rental through Global Nitrogen & Oil Field Services. Our certified and factory trained personnel provide on-site start-up and training. Using the patented GENERON® membrane, we offer the lowest cost Nitrogen production on the market today. The actual air separation process takes place in the nitrogen membrane filters.